THE FORMER EDITOR of The Sun newspaper which published untruthful allegations about the Hillsborough disaster is now seeking an apology from the police force which gave his paper and others the story. Kelvin MacKenzie has written in The Spectator magazine that lawyers acting for him have written to South Yorkshire Police seeking an apology for the circumstances that have led to what he said was his “personal vilification for decades” as a result of a front page he published in 1989. In the days after the stadium disaster which killed 96 people, MacKenzie printed – under the banner headline ‘The Truth’ – that drunken Liverpool fans urinated on and stole from the dead. It was a story that later proved to be entirely false and which was part of an organised police cover-up and smear campaign against Liverpool fans to hide their culpability for the disaster. MacKenzie apologised in the wake of the publication of the Hillsborough Independent Panel report two weeks ago which exposed the cover-up but writing in The Spectator magazine tomorrow, he says that he is seeking recompense “for the lies officers told”. While admitting that he was wrong to have published the story – which originated from a Sheffield news agency and was carried by other papers – MacKenzie said that “the people who have got away scot-free are South Yorkshire Police”. He also pointed out that other newspapers had printed the story and said that he was “puzzled” that Liverpool fans “didn’t turn on other media, only the Sun”. “Was it picked out because the paper had always backed Thatcher, while the city had always been pro-Labour?” he writes while also detailing the physical danger he faces in the city of Liverpool and the increased police patrols around his house. 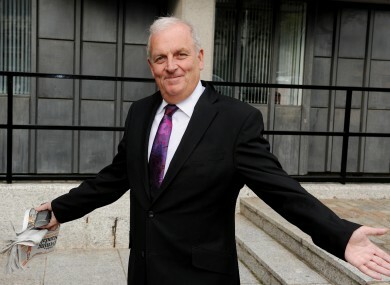 Email “Kelvin MacKenzie wants apology from police over Hillsborough lies ”. Feedback on “Kelvin MacKenzie wants apology from police over Hillsborough lies ”.